As a soldier, you are trained to put the country first. When in service, the government looks after you and your family. Money matters are the last thing on your mind because of your fleeting touch with the world outside your cantonment. Further, due to the transferable nature of your job, you are either content with a Provident Fund account or at best have taken a “risk” by investing in unregulated schemes on the advice of friends or colleagues. The irony is that despite being an inherent risk-taker, well-versed with methods of combat, defence personnel like you often tend to stay away from taking calculated risks through regulated investment vehicles. In fact, for soldiers sacrifi cing for the country, Mutual Fund (MF) schemes can be the ideal ammunition to tackle any financial need at various life stages. Diversification, a key ingredient in investment success, is inherent to MFs that provide you cover against risks. You have complete control over the quantum of investment, time horizon and the risk you wish to take as compared to other investment options. They provide the benefi t of professional money management at a very low cost. Unless you opt for Close-ended Funds, you have the advantage of Liquidity or exiting an investment at your will. You get access to a wide range of Stocks despite making a small investment in a disciplined manner. Each Fund category carries a different element of risks and deploys different strategies based on different investment objectives that they state upfront. Various categories of MFs can, therefore, be used in different fi nancial Goals at different stages of your life. Low cost: Because they are passively managed, they have a low expense ratio. This makes them cheaper than actively managed funds. A diversified portfolio: Popular indices are composed of Stocks across sectors. This brings about natural diversifi cation that is key to your investment success. Automatic rebalancing: Indices are composed in a manner that underperformers are replaced periodically, thus removing the threat of laggards pulling down the return potential of your portfolio. 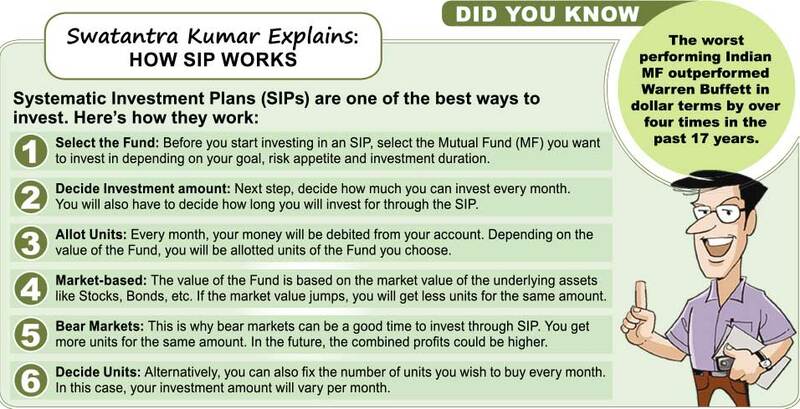 Easy to manage: Finally, you do not have to keep a constant watch over your portfolio and be assured that you can be an inch closer to your Goals by simply making small and regular contributions through Systematic Investment Plans (SIPs).